Today, I fired a client for the first time in my equine career. I was not upset, not emotional. I am, however, ridiculously proud of my growth in the equine training business. This client has a two-year-old orphaned Arabian gelding. He’s a beautiful, intelligent animal that I would have liked to own. When I met the owner, four months ago, the horse was pushy, dominant and dangerous. Not a mean horse, but very dangerous as the horse pushed and walked all over the owner. Stepping on toes, swinging his head and running over the owner. I taught a weekly lesson at the owner’s farm. 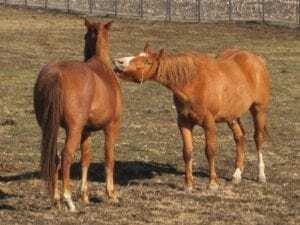 Although the majority of my words and the initial lesson was repeated each week, I struggled with getting the owner to understand leadership, herd dynamics, pecking order or how horses perceive humans. Frustrated with teaching green on green, I asked the owner if they would send the gelding to my training facility for two weeks of uninterrupted, concentrated training. My thinking was, if I could give the horse a head start on foundational training, the owner would be at an advantage to learn. Once I got the horse on the right path to respect, then the owner could come and take lessons with the horse. The owner expressed anxiety about sending the horse to my barn, 40 minutes away. I understand that it’s an important part of my training program that owners feel confident and comfortable in the barn I choose to train out of, and I assured the owner that unannounced visits would be just fine. The horse arrived Sunday evening. The barn owner and I met with the horse owner and all worries were laid to rest. Monday after 5 pm the horse owner came out for a visit. I noticed the owner in the paddock with the gelding and watched them move around the paddock. Nothing to worry about that evening. Tuesday evening, the owner is present again at 5 pm. However, this time I observe the horse and owner playing tug of war with a toy. The horse pushing and moving its owner around the paddock. Swinging his head around, moving the owner around as if two dogs were playing with a bone. I asked what was going on and was met with a gleeful, “oh, we’re just playing”. I advised the owner that I had an issue with that and reiterated for at least the 40th time that horses move each other’s feet to determine who is the leader. I explained that I had just spent the last two days working on gaining the horse’s respect and how this “play” was not ok. Not now, not ever. This offended the owner. I reminded the owner that I was hired four months ago because this horse had hurt the owner. Now, having witnessed this “play” it was evident that I was not being an effective teacher and had failed to clearly explain the leadership role the human must play in the horse/human relationship. I retrieved my checkbook and refunded her prepaid training and board. The owner is extremely apologetic, begging me to reconsider; please keep the horse in training. I showed the owner the six-inch scar on my right leg from the surgery to repair my broken tibia. In 2017 I did not listen to my intuition and agreed to continue training a horse, whose owner just didn’t “get it.” I knew in 2017 and I know right now, today, that the owner has created a dangerous situation with the horse and although sought out the help of a professional, they refuse to change the way they interact with their horse, thereby counteracting the training I am providing the horse, that was brought to me for dangerous behavior. 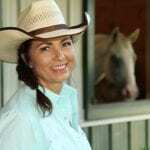 Joyce Lewis is owner and operator of Safe Horse Training. It is her passion to help rider and horse learn basic obedience, such as lowering their head for haltering and bridling, standing still for saddling, mount or dismount, de-spooking, trailer loading, stand quietly while tied, maintain consistent gait at the walk, trot and canter, solid brakes and steering, basic backing and lateral movement. When your horse graduates from the Safe Horse Training Program, he will then be prepared for the next phase of his life, such as dressage, jumping, reining, trail riding and such. Once the basics are solid, the next level of training is easy. 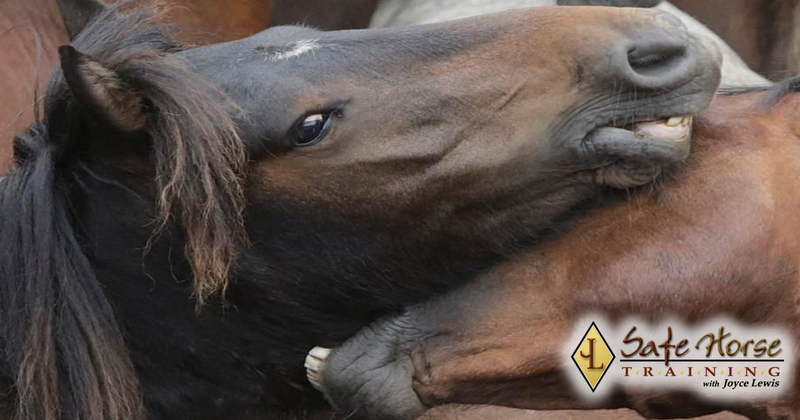 Joyce extends what she has learned and puts it into everyday, easy to understand terms for the average horse owner to use. Regardless of your discipline, English or Western, Trail Riding or Dressage, improve your horsemanship skills both on the ground and in the saddle. Previous: Previous post: Is Your Website User-Friendly?